There are a number of fun plastic contact paper crafts for kids to enjoy. Plastic contact paper crafts for kids are easy and inexpensive projects that are appropriate for children of all ages. What is Plastic Contact Paper? Plastic contact paper, also called shelf paper or Con-Tact covering paper, is a plastic paper with an adhesive backing. It comes in a variety of colors and patterns, but the clear variety is most often used for children's craft projects. You can purchase clear plastic contact paper at your local hardware store or from various online retailers. Whether you're planning projects for your Sunday school class or your local Girl Scout troop, there are many plastic contact paper crafts for kids to enjoy. The easiest plastic contact paper crafts for kids involve laminating photos, schoolwork, award certificates, and other memorabilia. Clear plastic contact paper makes it simple for children to preserve their important documents. Laminating with clear contact paper is an excellent idea if your children like to tape their projects to their walls. Covering an item with plastic contact paper will protect it from spills, stains, rips, and tears. Place a sheet of construction paper or colored cardstock on a piece of contact paper. With the contact paper side of your project facing the table, arrange your dried leaves and flowers into a pretty pattern. Cover the design with another piece of contact paper. 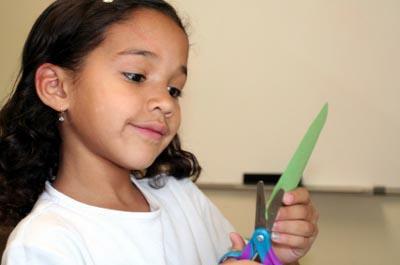 Trim around the edges with decorative craft scissors. Larger leaf and flower collages can be used as washable placements. Smaller collages can be used as simple bookmarks. You can purchase inexpensive items to alter for these plastic contact paper crafts for kids at your local dollar store. Garage sales, flea markets, thrift stores, and consignment shops are also a great source of craft supplies. To create a collage, use a glue stick to adhere words and images cut from old magazines as well as patterned paper scraps and stickers left over from scrapbooking or card making projects. Let the glue dry thoroughly before carefully covering the design with clear plastic contact paper. If you're altering an item that has curved edges, work slowly to avoid creating air bubbles in the project. Cut two equal sized pieces of clear plastic contact paper. Tear scraps of tissue paper into small pieces. Use complimentary colors for a subdued effect or choose a variety of different shades for a more eclectic look. Peel off the backing off one piece of contact paper and stick the tissue paper scraps onto the contact paper. Cover with the second sheet of contact paper. Cut your project into the desired shape. Punch a hole in your design to attach a decorative loop of ribbon. Hang your finished sun catcher in your window. Glue a square or rectangular sheet of wrapping paper to cardboard to make the game board. Cover the game board with clear plastic contact paper. Cut matching images from a second sheet of wrapping paper. Laminate the images with clear contact paper, trimming with a fine pair of craft scissors. Play the game by matching the cut out images with the pictures on the wrapping paper.